We sailed throughout the night; we had the curtains pulled back, so we could watch the Danube scenery unfold right from the comfort of our bed. Today would be a full day of sailing, as according to our ‘Viking Daily’ newsletter, we wouldn’t be arriving in Vienna until 7 pm. At around 9 am, we dragged ourselves out of bed and headed down to breakfast. 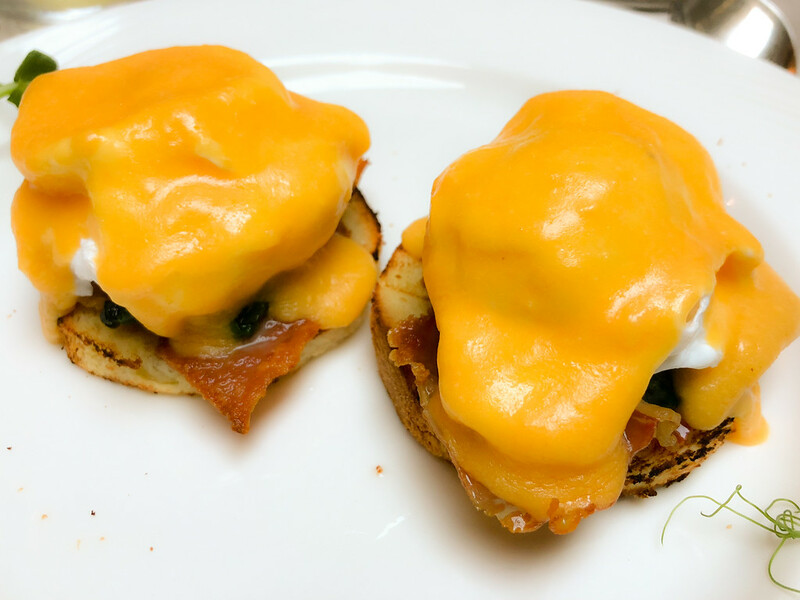 Lots of goat cheese available today, so I was a happy bunny and Jon tucked into Eggs Benedict. At 10 am, there was the compulsory safety drill, so at the sound of the alarm, we donned our life jackets and headed up to the sun deck. With only 190 passengers on board, everyone was accounted for within 7 minutes. 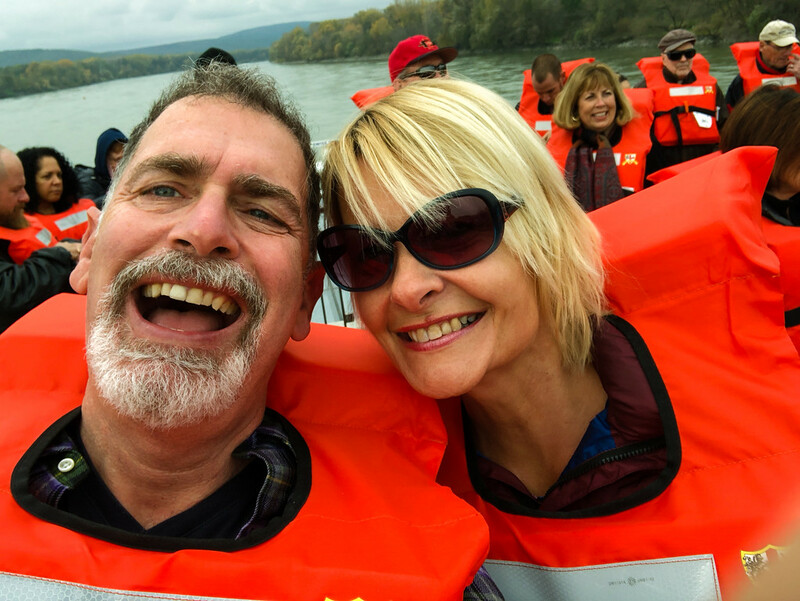 Now me not being the bravest person in the world when it comes to water, I was delighted to discover that in the Danube, should there be a Titanic incident, our floor and the bar would remain above water – phew, I can relax a bit more now. After the drill, being a little too chilly to remain up on deck, we headed down to the lounge. So did everybody else. Plenty of room for everyone but still felt a bit crowded. Kane, the Program Director, did a big spiel about various tours on offer, then there was a German lesson, all good fun but we just wanted some quiet time just to chill, and do important stuff like Facebook and plan what to do in Vienna, but alas, no. However, most cruise dwellers do love to eat, and as soon as 12:30 arrived, there was a mass exodus to the restaurant. Jon and I remained upstairs and enjoyed a light lunch in the lounge. Feeling refreshed from some quiet time, we looked forward to the afternoon’s Mozart Presentation. Having learned all about Austria’s greatest composer, we were looking forward to tonight’s concert. 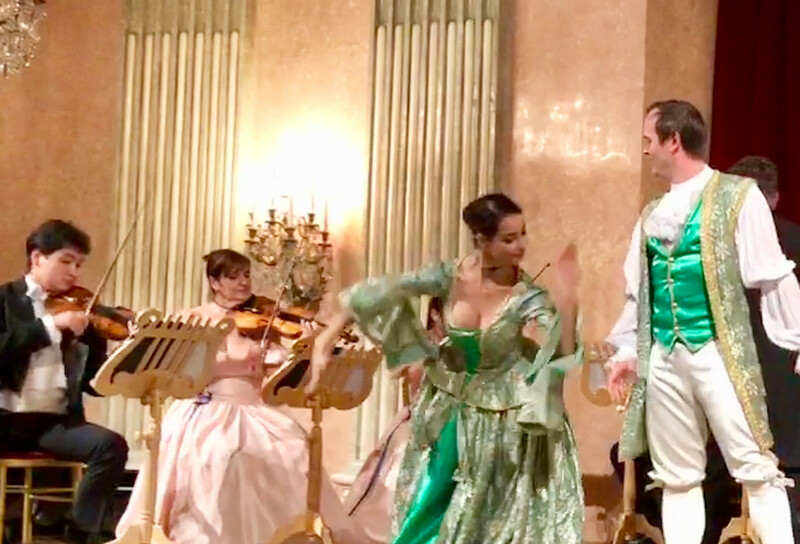 Well you can’t come to Vienna and not listen to Mozart, can you? So, tonight we joined one of the optional tours on offer by Viking Cruises – a Mozart and Strauss concert. Dinner was served early to accommodate all the concert goers – a Wiener Schnitzel for me and a juicy steak for Jon. Then at 7:30 pm, two very smart Viking buses took us, and 80 other passengers, into the city to a charming venue, a former palace, to watch the show. It was a very pleasant lighthearted affair, playing all the well-known tunes and although the orchestra was small, it sounded as if there was a full orchestra performing. It opened with Mozart’s Marriage of Figaro and closed with; you’ll never guess, the ‘Blue Danube Waltz’ by Strauss. Champagne was served during the interval. It was a lovely evening although I enjoyed Strauss far more than Jon, he’s a big Mozart fan, so we were both happy.